This audiobook offers a how-to guide on how to accept and overcome adult dyslexia. You will be able to clear expressions on what strengths dyslexic people have, how to determine whether you have dyslexia, and support offered to adults that have dyslexia. 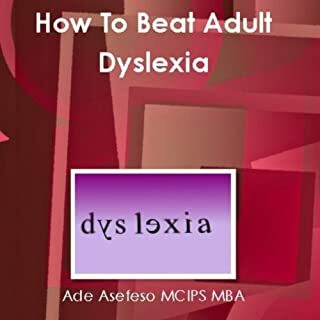 Listen to How to Beat Adult Dyslexia and gain the confidence you need. short, basic....not real in-depth, not much having to do with someone who was diagnosed early in life.